Our one-year anniversary is coming up very soon (Aug. 9). As we head into our second year of operation, we're pleased that NewsBusters has become one of the top 10 conservative blogs and one of the top 100 blogs in the world according to Technorati. What are some of your suggestions for our second year? What kinds of new features, events, site components or other things would you like to see? That’s how The New York Times begins Agony of New Orleans, Through Spike Lee’s Eyes, on the director’s upcoming Katrina documentary. Times reporter Felicia R. Lee doesn’t tell readers of one of the reasons Lee was drawn to the story: he thinks the government may have deliberately flooded New Orleans. That’s right. HBO wanted to make “the film of record” on America’s worst natural disaster, and entrusted the task to a man who thinks it may actually have been a government conspiracy. And it gave him $2 million to do it. An ABC Good Morning America story by Claire Shipman reports on the $150 billion in tax revenue that the Senate Permanent Subcommittee on Investigations says is lost because of the wealthy who figure out ways to avoid paying taxes. Globe: USA Arrogant . . . And Cuba Has Free Health Care! It's become a punchline: Sure, Fidel forces champions of democracy to rot in prison. Yes, his kleptocracy-called-communism has empoverished the masses while enriching the elite. OK, he did permit the Soviets to install nuclear weapons pointed at us. But - altogether now - THEY HAVE FREE HEALTHCARE IN CUBA! Even the Bush-bashing New York Times can tell you today: there's no room for conspiracy theories about the White House sending reporters across the park for press briefings for a few months while they renovate and update the briefing room. The Washington Post is editorializing today against the House Committee on Energy and Commerce Committee Subcommittee on Oversight and Investigations, which held hearings twice in July on questions surrounding the "hockey stick" temperature studies. Says the Post: "Instead of concentrating on the changing climate, the House Energy Committee picks on climatologists." Using the very same expert the CBS Evening News cited on Monday, Wednesday's NBC Nightly News made -- as its second story of the night -- the case that the current heat wave can be blamed on global warming. Anchor Brian Williams set up the piece by ruminating about how “you hear a lot of people saying it didn't used to be like this, didn't used to be this hot, and because of global warming we've done this to ourselves.” Reporter Tom Costello asked: “So is our current heat wave a symptom of global warming?" Jay Gulledge of the self-interested Pew Center on Climate Change confirmed “this heat wave” is “completely consistent with what we expect to become more common as a result of global warming,” before Costello noted there have been heat waves in the past, but insisted that “experts say our current heat wave is unique." It is safe to say that most conservatives hold Congressman John Conyers (D-Michigan) in minimal esteem, which is probably putting it mildly. 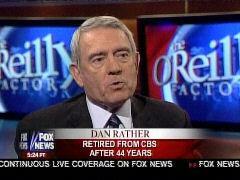 So, when a member of the press goes gaga over anything this man says, it really makes for a boatload of chuckles. As such, the reader is hereby warned to make sure all drinking vessels are tucked safely away from proximity. Well, somebody has finally worked up the nerve to say it out loud. We have a constitutional crisis in this country. So says Congressman John Conyers of Michigan. Any agreement between Washington and Paris, as well as London, would also need approval from other Security Council members such as Russia, buy-in from Israel, Lebanon and Hizbollah, and the acquiescence of Syria. Fidel Castro is a brutal dictator but you wouldn't know it from listening to many of the current reports about his health. 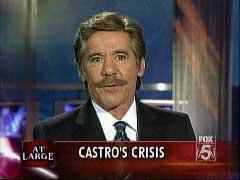 Time and time again members of the U.S. media fall over themselves in describing Castro in poetic terms. NBC consumer correspondent warns that big salads are big on calories.